I'll just offer my wee humble opinion that for me, the big deal breaker is NON-PROGRAMMABLE. Even if it was programmable with basic arithmetic, and some trig functions, that would be an entirely different kettle of fish. But non-programmable doesn't cut it for me (regardless of how many functions). Personally for me, I want the calculator to have the ability to save me time, thus even the ability to "record" and run a simple program (really, just a macro routine playback) would be very useful. RPN actually makes it easy to program. (05-10-2014 07:50 AM)lemontea Wrote: I'll just offer my wee humble opinion that for me, the big deal breaker is NON-PROGRAMMABLE. Even if it was programmable with basic arithmetic, and some trig functions, that would be an entirely different kettle of fish. I concur. The result would be a two-shift-key device somewhere between the 31S and the 34S. A second shift key will open the possibility to add TVM as a built-in function, too. I looked at the layout again to see why we might need 2 shift keys and I see the keys are already all taken up. But at minimum, we just need P/R (and maybe R/S) and some LBL (or not). If no LBL then the programming will just be ONE sequential "macro" thing, no branching, no looping, no labels. (OK you still need a way to invoke the program). 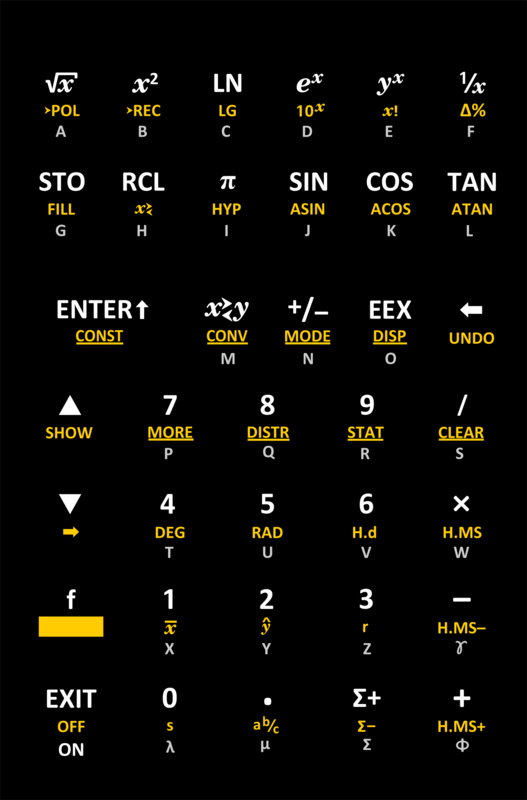 Then at least you can have the calculator automatically manipulate XYZT and save you 30 seconds here and there (it "adds" up!). The other big thing I would want is quick changing between the FIX, SCI and ENG modes. At least ENG and FIX (just because I hardly use SCI hehe). (05-10-2014 06:32 AM)walter b Wrote: ...Looking forward to your results. Yes, but the good news is there are few ambassadors here, so most of us hardly notice. Hardly. You may have missed my point here. 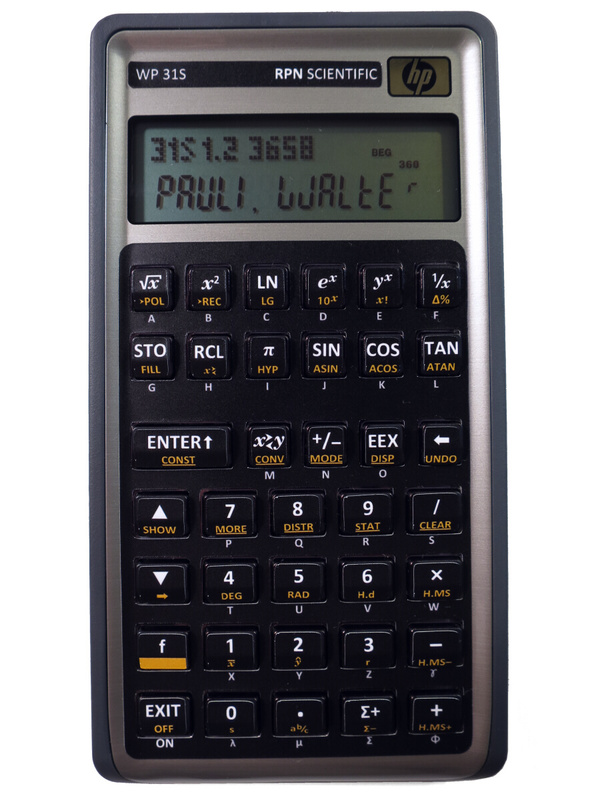 Personally, I have enough calculators that I can probably use a different one for every TVM calculation I will need to do for the rest of my life. The modular approach for including the TVM functions was just a suggestion to answer your question about what could generate broader interest in the 31S. Since it appears that discussion may have picked up once again anyhow, I can only hope this dialog helped kick that off. Keep in mind that when brainstorming, there are no bad ideas. Unless they're really bad. (05-10-2014 10:14 AM)Marcus von Cube Wrote: The result would be a two-shift-key device somewhere between the 31S and the 34S. All nice and well, but: How many digressions, before I can cuddle a WP 43S? And: At some point you need to branch this from the WP 31S to - say - a WP 32S. I think the concept of a non programmable and tidy RPN machine on the basis of the WP 34S was a very good idea and should be brought to some stage of fruition, before the next iteration takes shape. I for my part would be very thankful if there'd be a first final release of a WP 31S firmware and some professional overlays. Doing rather fundamental changes to the basic layout, before the WP 31S is more or less finished, doesn't seem very wise to me. WP 31S is released. Please take build 3645 as indicated. This release includes its layout, of course (as stated earlier). Eric wanted to create an overlay some days ago. After posting a draft there were no more news about that, however, if I didn't miss anything. So we've to work with preliminary paper overlays for the time being. No problem. AFAIK, nobody of the WP 31S team said he wants to change the surface of the WP 31S. So it won't change. Whatever the next (new development) project will be, the WP 31S and the WP 34S are closed models now. I.e. there may be bugfixes, maybe minor additions to particular menus, but no changes of their skins. In consequence, anything like a "programmable WP 31" won't come - it would be a WP 32S/33S instead. And about cuddling a WP 43S: well, we'd like to to that as much as you at least, be assured. But even "day X" didn't come so far. So all we can do is continue waiting for the reptiles. I tried to do so, but something is wrong here. As you suggested I downloaded the mentioned files into one directory. When starting wp31sgui.exe it gives me an "Error while loading skin(27)". After that the program window opens empty showing the menu. From there I could try again to load the skin, but the same error message pops up. The skin file has those 847 lines with 846 containing data. It starts with "picture=wp31s_medium.bmp" and that file is also in the directory. My system is Win7(64) - any suggestion? (05-05-2014 12:32 PM)Jeff O. Wrote: 1. use the century schoolbook italic font for the e on the e^x key), and all lower-case appearances of x and y. 2. use a more stylish version of the pi symbol. I have attempted to make these changes. I don't have the Century Schoolbook font, but I used an approximation that hopefully is close enough. I just don't feel like fighting Walter anymore. I'm just doing things his way even if I disagree because it's not worth it. I may make it an optional key; we'll see. I'll probably start making these fairly soon unless there are any more suggestions for changes. (05-26-2014 03:16 PM)Eric Rechlin Wrote: I have attempted to make these changes. I don't have the Century Schoolbook font, but I used an approximation that hopefully is close enough. The font and pi look great to me, thanks. (05-26-2014 03:16 PM)Eric Rechlin Wrote: I just don't feel like fighting Walter anymore. I'm just doing things his way even if I disagree because it's not worth it. I may make it an optional key; we'll see. I would probably choose the obelus option if offered, but don't offer it on my account. Do what you feel is best and/or is easiest for you. (05-26-2014 03:16 PM)Eric Rechlin Wrote: I'll probably start making these fairly soon unless there are any more suggestions for changes. Three minor remarks prioritized: (1) The grey Greek letters γ and μ shall be positioned correctly (as in this text line, for example) in vertical direction in relation to the other letters on the keyboard. (2) x_bar looks a bit large in comparison to y_hat. Please compare x<> as well. (3) I'd suggest inserting a little space between x and ! as well as between x and <> for easier reading. Feeling pretty peaceful - no reason to force anybody printing a colon : for division like people commonly use on this continent. And no center dot for multiplication instead of the elevated x. And no comma for decimal marks. A forward slash is understood on both sides of the great pond - pretty, neutral, no losers then. If, however, you're thinking of an optional national division symbol, please don't forget a colon, a center point, and a comma as well - just for symmetry reasons at least. Just wondering why the BEG annunicator is shown on the display? (05-30-2014 02:49 AM)Paul Dale Wrote: Just wondering why the BEG annunicator is shown on the display? Since it's always at step 000 - it can't go on so it's a permanent display like RPN. We should turn it off always then. (05-30-2014 08:33 AM)Paul Dale Wrote: We should turn it off always then. ... and it's a BEGinner's calculator anyway, isn't it? We should disable the display of BEG. Unless we can think of a positive use for this annunicator. Well, being organized helps a bit sometimes. To be or not to be, that's the question. P.S. : Certainly you don't want to see your files in linear mode, do you?